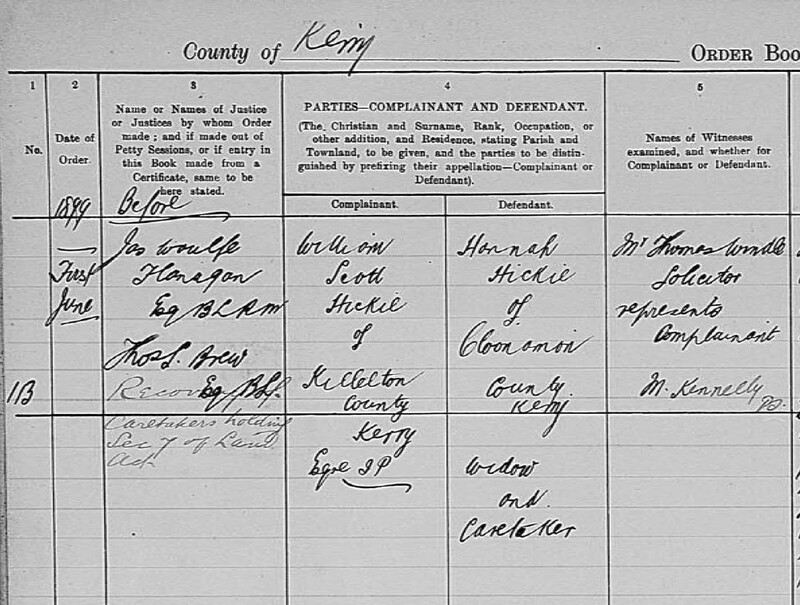 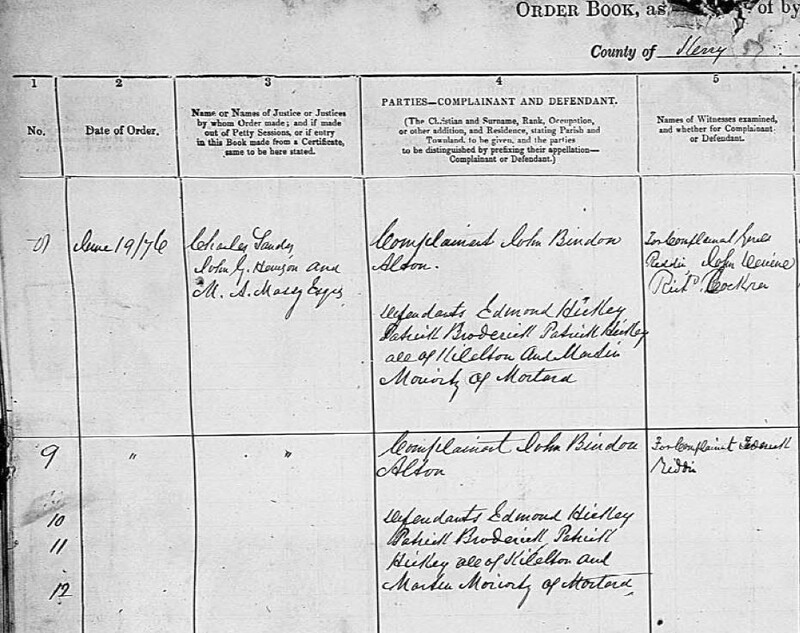 I have found some of the Irish Petty Sessions Court Registers 1828-1912 relating to my ancestors in Kerry during the the 19th century so interesting, from illegally taking a hare and fishing for salmon to inciting a riot. 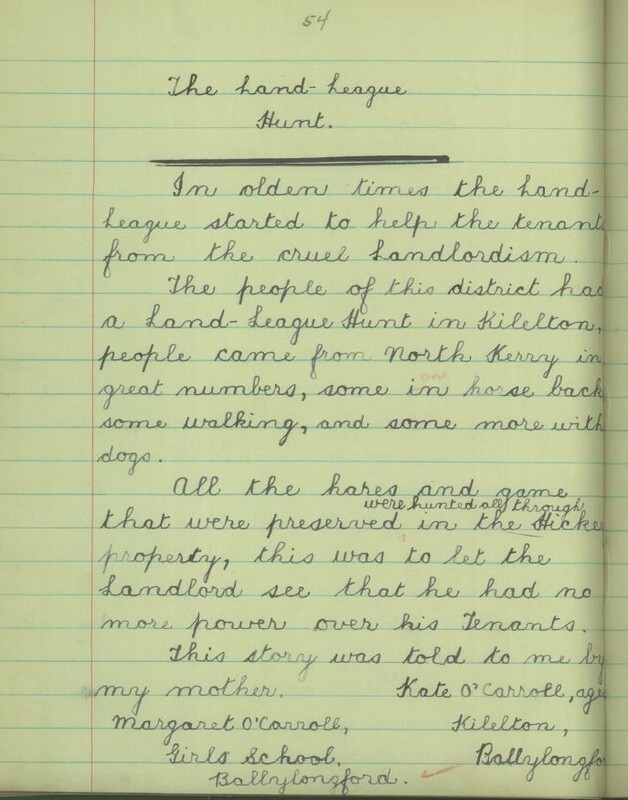 Perhaps most interesting was the seven year campaign by the local landlord, Hickie of Kilelton House near Ballylongford to evict my great great grandmother, Hannah Hickey of Cloonaman from her holding. 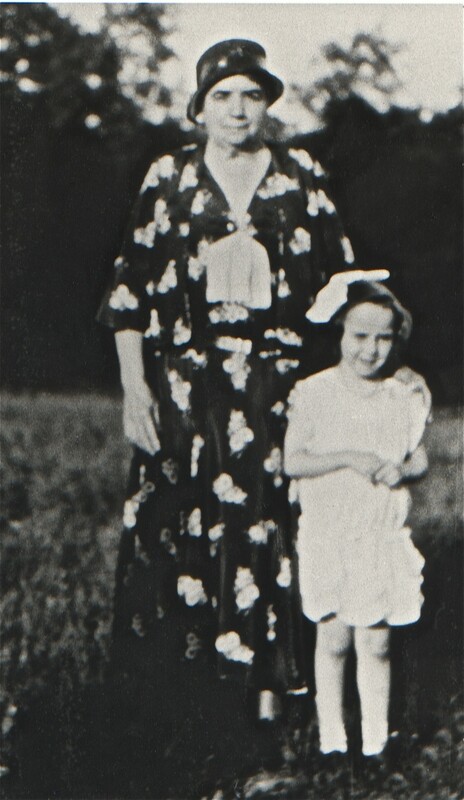 Both shared a surname and both were of the Catholic faith. 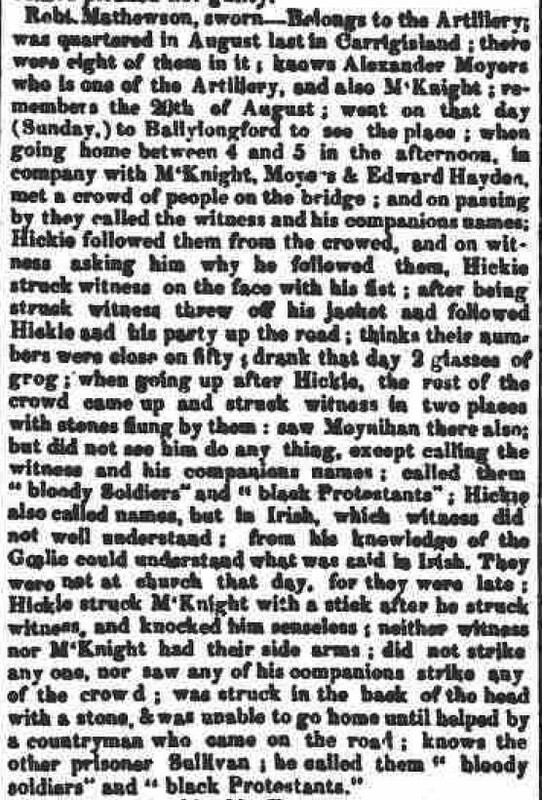 I uncovered a newspaper article from 1840 which in all probability references my great great great grandfather, Patrick Hickey of Cloonaman, and his prosecution for assaulting and cursing, in the Gaelic tongue, several members of HM Coast guard stationed on nearby Carrig Island, obviously personal details that I would have no other way of knowing. 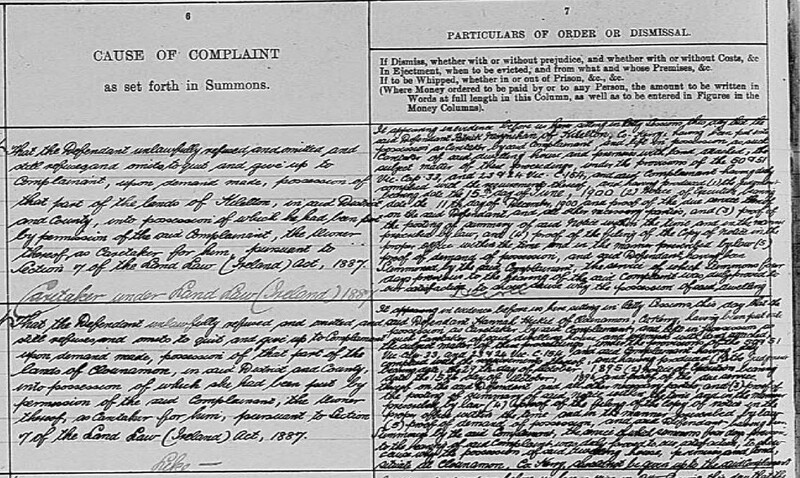 He would be the Patrick referenced in the 1876 petty sessions document when he would have been 17 years old. 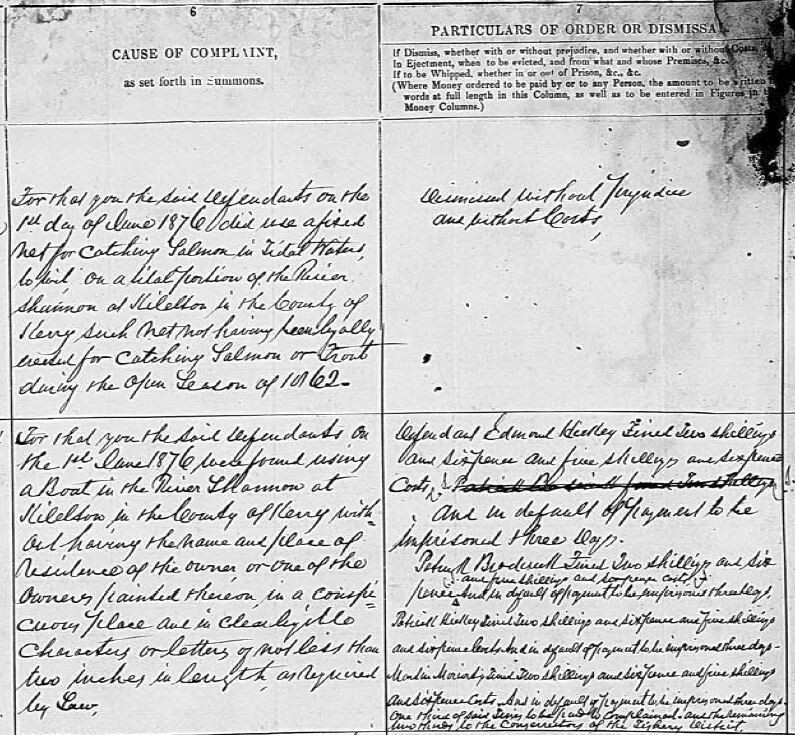 The Edmond Hickey in the same documents would have been his father, my great great grandfather, died Ballylongford 1890 and referenced various documents as a boatman, a fisherman and a labourer. 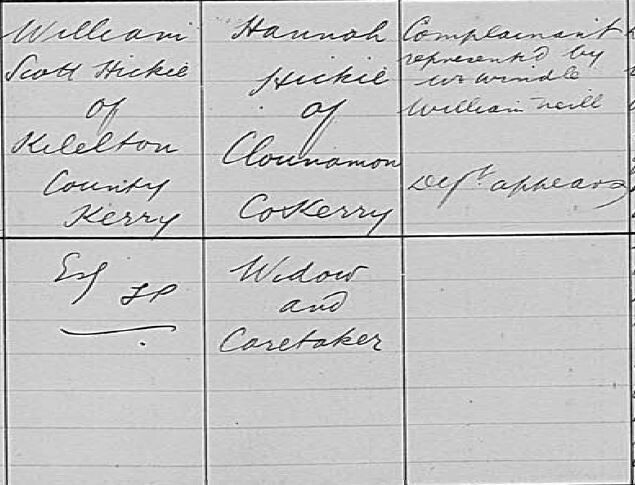 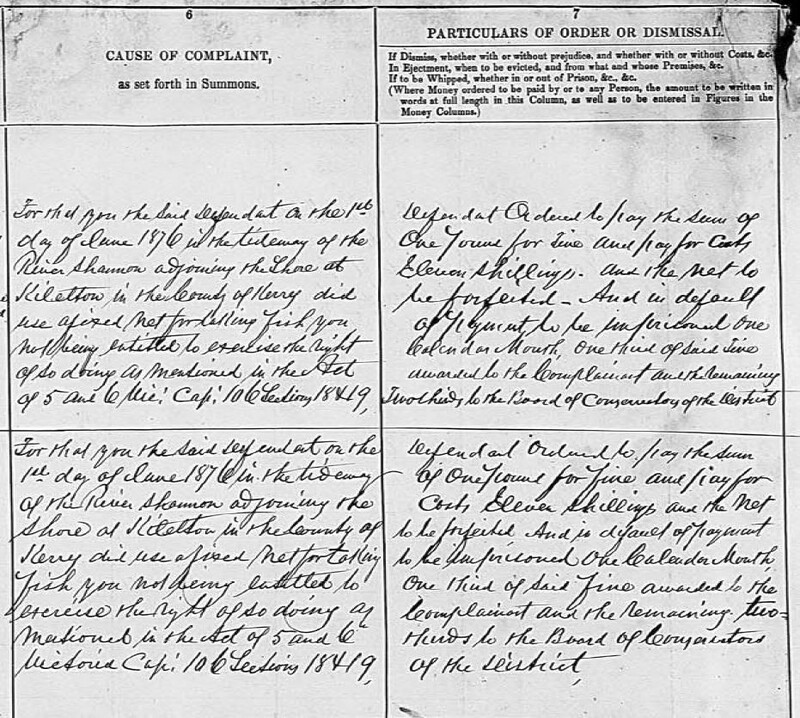 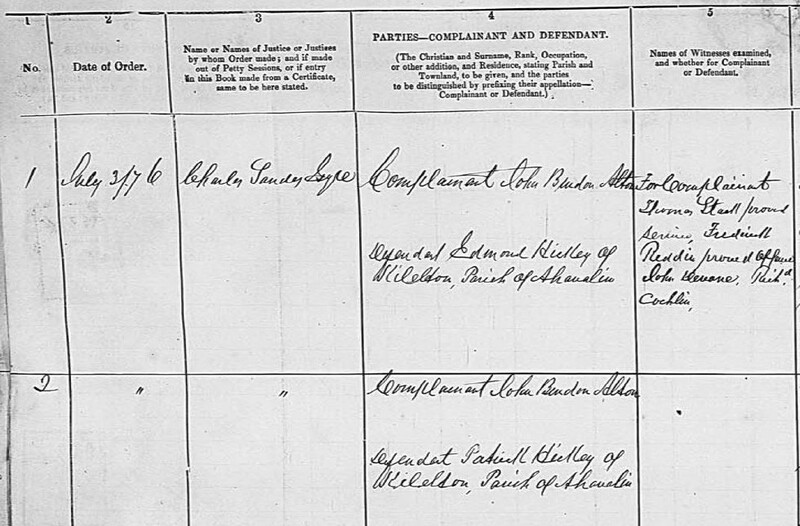 The petty session records referencing Hannah Hickie (maiden name Cournane 1830-1910) refer to my great great grandmother (Edmond's widow and Patrick's mother), again describing eviction proceedings against her by William Hickie, the landlord, of Kilelton House. 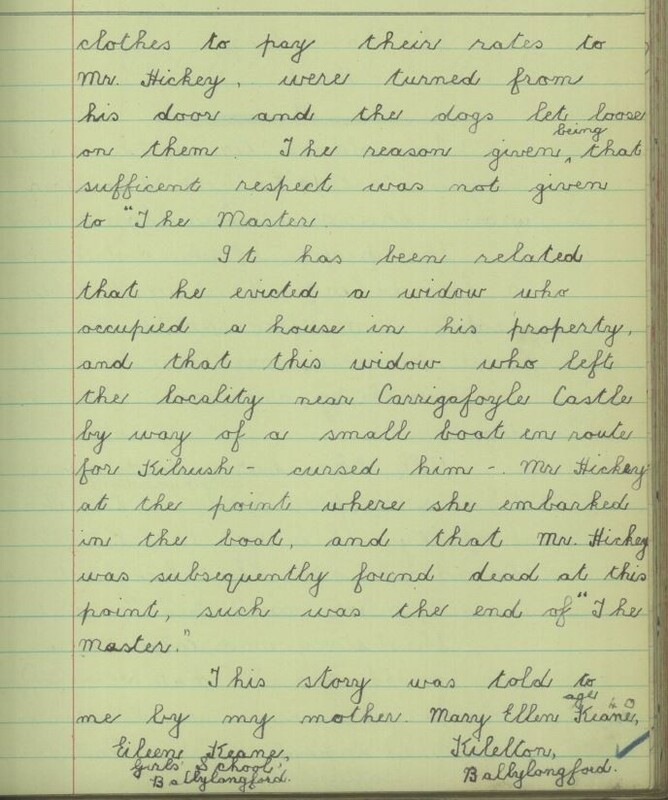 When the Irish Folklore Commission collected stories locally in the 1930s, they collected several versions of Hickie of Kilelton House being cursed by a woman he had evicted and that he died shortly thereafter as a result of the curse. 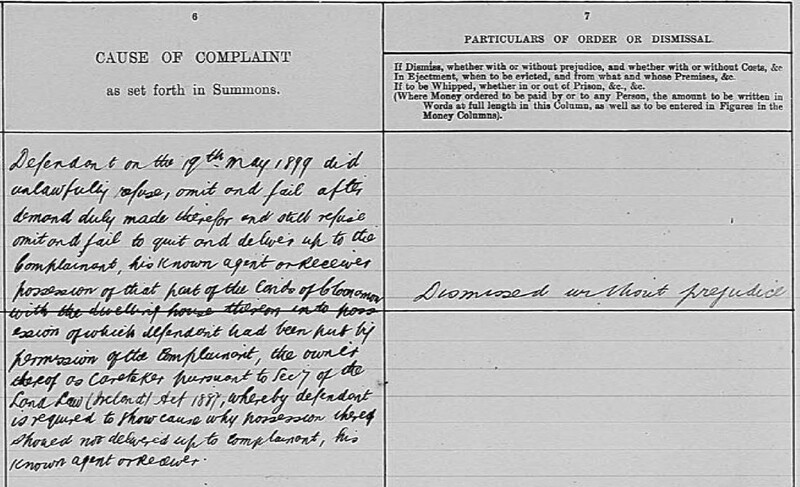 I assume the story is somewhat apocryphal. 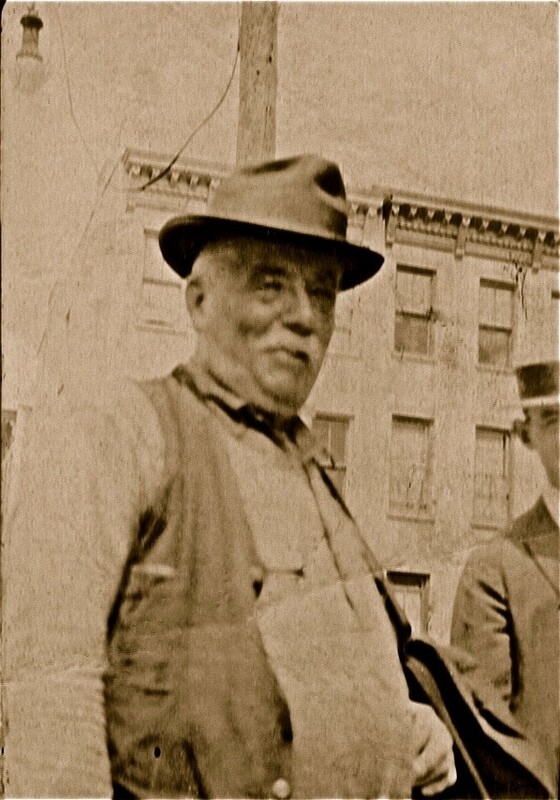 Interestingly, when I was about 12 years old, Patrick's daughter, Johanna Hickey Bonner, my great aunt, was telling a story about how her grandfather drowned in the sea trying to get fish enough to feed his family. 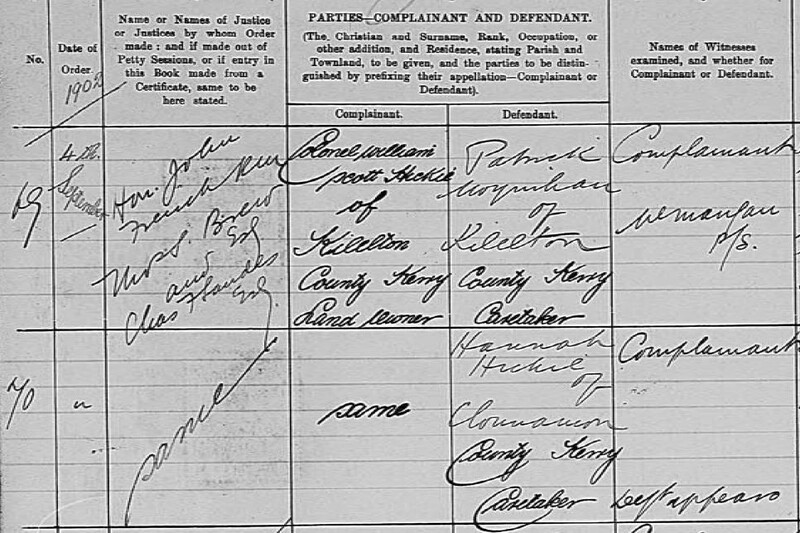 As it turns out her grandfather was indeed a fisherman, as proven by birth and death records and the petty session records, though he died of TB in 1890, not by drowning.